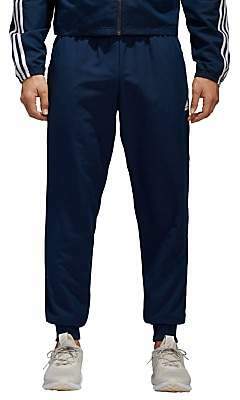 climaliteÂ® fabric sweeps sweat away from your skin Side seam pockets Drawcord on elastic waist Ribbed cuffs Tapered leg Enjoy complete comfort between games with these Essential Standford 2.0 Joggers from adidas. These lightweight joggers come in a tapered fit and are made from fast-drying climaliteÂ® fabric. Featuring ribbed cuffs and an elastic drawcord waist. Every fibre counts: made from recycled polyester to save resources and decreases emissions.